HARLAN, Ky. - An East Tennessee man was arrested in Kentucky hours after his estranged wife was found fatally shot in her driveway. Sevier County, Tenn., Sheriff Ron Seals told media outlets that 45-year-old Andrew Beverly was taken into custody at about 8 p.m. Wednesday in Harlan County, Ky. The body of Beverly's wife had been found earlier in the day outside her home in Kodak after a neighbor called police to report a shooting. In a jailhouse interview, Beverly admitted to NBC affiliate LEX18 that he gunned down his estranged wife, but said he didn't intend to. "I grabbed her and the gun, it went off. Didn't know where I hit her at, to be honest," Beverly told the station. He added that weeks ago, he moved out of the home he shared with his wife. He reportedly told the station he became angry when he learned another man had then moved in. "It wasn't my intention to shoot my wife. It wasn't no intention at all. My intentions were really to shoot him for being in my house," said Beverly. "I'm so sorry that it happened. I just wish God would take my life instead of hers because she didn't deserve that." 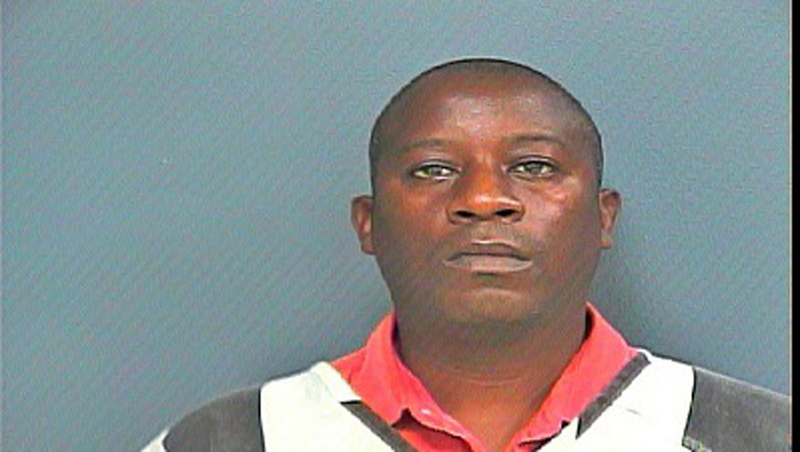 Beverly is being held at the Harlan County jail on a fugitive warrant. Seals said Beverly has been charged with murder in Tennessee. It wasn't immediately clear whether he has an attorney. Police haven't released the name of the victim.